Advantage Treating System - FarmAgro Sales LTD. 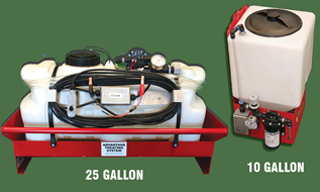 The Advantage Air Treating System is a proven, easy-to-use and uniquely designed delivery system for small grain seed treatment. The included components make custom design possible for a variety of treating methods. Includes 1/4" air chuck adaptor and 10' air hose. Adapts to your air supply. Desired flow can be obtained with the combination of air pressure and valve adjustment. Apply product directly to grain flow for a no-drift, no-mess application, includes two clamps. Elbows can be removed from tube for cleaning. Hose easily plugs into fittings for quick connection and removal. Stainless steel hook allows tank lid to be propped open for convenient filling. Refillable container in 10 and 24 gallon sizes. 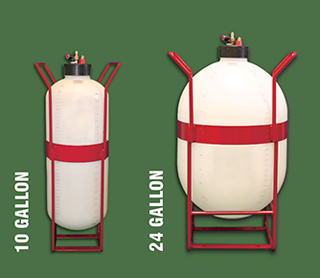 One Gallon of compressed air treats 125 bushels. Graduated liquid level on see-through container. Dual injection system for auger application. Air agitation provides continual suspension of product(s). Treat or inoculate large seed volumes without interruption. Regulated air pressure & accurate metering valve. Rounded bottom for complete clean-out. Approved for use with most seed treatments, liquid inoculants, and liquid micro-nutrients. 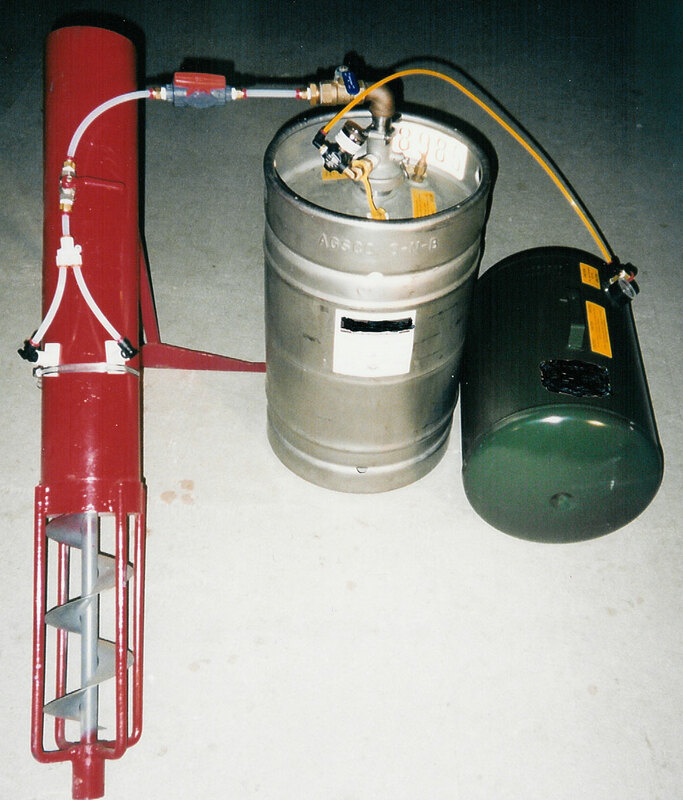 We supply micromatic valves and equipment to use with keg systems. Reinforced top center hole for pivot mounting. 4 holes for solid mounting. Remove hose from pump to drain. 3" bottom rail for strength and protection. Tank is bolted and strapped for extra stability. Available in 12 Volt and 115 Volt. 25' switch and power cords. Flat space for label/decal placement. Magnetic spray nozzle. Comes with two spray tips. Approved for use with most seed treatments, liquid inoculants, and liquid micronutrients.